Pull, peel and reveal! Meet Noah and the Hairdorables with this fun surprise pack! 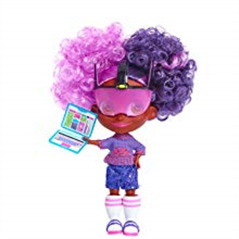 The Hairdorables is a girl squad with the motto of "Big Hair Don't Care." 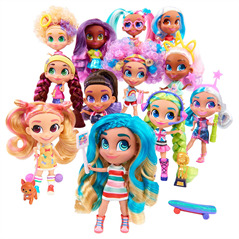 Each doll lives up to the "Hairdorables" name and motto with their variety of unique hairstyles, fashion accessories and vibrant colors! Each surprise pack comes with a poseable Hairdorables doll and 10 stylish surprises to unwrap the personality and passion of the girl hidden inside! 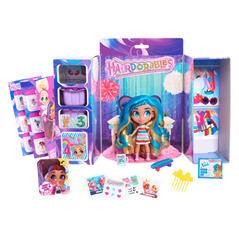 The 10 surprises reflect the Hairdorables own fashions, hairstyles and accessories that are unique to her style and talent! 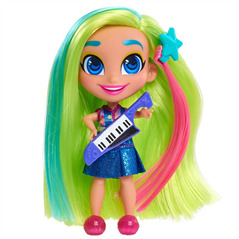 These dolls are based on 12 iconic girls from the YouTube series, Hairdorables. So which Hairdorables girl will you unwrap? That is just the main fun, but the fun doesn't stop there. Once the doll is revealed, there is still a lot of fun to unwrap and being surprise by all her fashionable accessories. 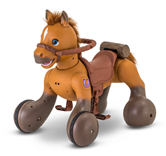 Surprise aside, this doll comes with a lot of accessories to enjoy and play with. This surprise pack certainly keeps boredom at bay. It's almost accessory overload. Hairdorables are recommended for ages 3 and up. We also recommend this toy for kids who loves surprise toys, especially fashion dolls themed surprises, as well as imaginary play. 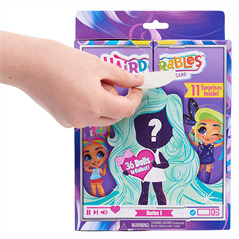 Each doll is sold separately and there are 36 different Hairdorables dolls to collect (including 2 rare and 1 ULTRA-rare doll). That being said, if you purchase more than one Hairdorables, you may receive two or more identical dolls. In a world where there are many adorable dolls, many fashion dolls, and many surprise reveal dolls, Hairadorables by Just Play stopped us in our tracks! Even the packaging is brilliant! 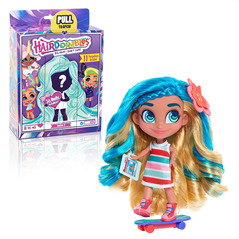 We think Hairdorables is the new collectible doll series of the year!